This book is a guide for latter-day saint young men twelve to eighteen years old. 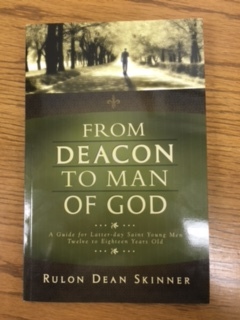 Written by Rulon Dean Skinner. He addresses such topics as the challenges of puberty, listening to and following the Spirit, repentance, forgiveness and much more. Young men will find advice that will help them grow into prepared missionaries, good husbands, and wonderful fathers.